David Davis’s influence with Mr. Lincoln was a political fact of life in Illinois. 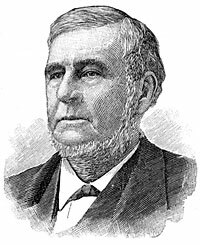 “As early as 1850, a prominent Whig in Taylorville wrote the Judge about the necessity of removing their postmaster who pretended to be a Whig and had a brother in Springfield well known as a member of that party,” wrote Davis biographer Willard L. King ” But actually the postmaster paid over all of the profits of the office to the old postmaster, a rabid Loco, who still ran the post office. The Taylorville Whigs had appealed to Congressman Baker without avail. To approach Lincoln through ordinary channels would be fruitless because he knew the postmaster’s brother. ‘We have consulted about the matter,’ the letter ended, ‘and have concluded to…ask you to use your influence with Lincoln in procuring the removal.’ During Lincoln’s life, Davis would hear many such pleas.”1 And he initiated many himself. The problem was that once Mr. Lincoln was elected President, Davis presumed on the friendship and his role in Mr. Lincoln’s nomination for President. His patronage demands grated on the President and Mr. Lincoln’s remoteness grated on Davis. Their relationship suffered. 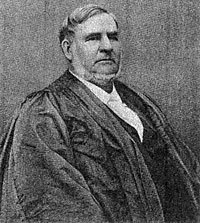 Their relationship was primarily legal through most of the 1850s, though Judge Davis began to get involved in the Republican Party after it was formed in Illinois in 1856. Unfortunately for Davis, his first experiences were primarily negative – attempting to block the nomination and perhaps the election of Owen Lovejoy as a candidate for Congress in his district. Davis and Mr. Lincoln much preferred the less radical Leonard as the candidate and Davis was tempted to try to derail Lovejoy. At the very least, he gained that reputation. Davis accompanied the President-elect to Washington in February 1861 with visions of power and influence – none of which were realized. In fact there is evidence that Davis presumed too much on this trip, annoying Mr. Lincoln. According to Henry C. Whitney, Mr. Lincoln spoke after the Inauguration about Davis with “extreme irritability. He complained “in the bitterest terms against Davis’s greed and importunity for office, and summarized his disgust in these words: ‘I know it is an awful thing for me to say, but I already wish I was back home…”16 Instead, Davis returned to Illinois and awaited Mr. Lincoln’s decision on a judicial appointment. It did not come quickly although the President did appoint Davis as chairman of a federal commission investigating claims against the military administration of General John C. Frémont in Missouri. Literally considered, this is true. A moment’s reflection will convince you that the President has not the time to read all the letters he receives; and also, that say of a hundred miscellaneous letters, there will be a large proportion, which are obviously of no interest or importance. These the President would not read if he could. Your implied charge, however, that his Secretaries suppress the important letters addressed to the President, is an erroneous as it is unjust. Of this class of communications they bring to him daily, many more than he can possibly get time to read. So far as I know your own letters have always received a special attention not only from the Secretaries, but from the President himself. If, as you intimate, any other persons have similar just and definite grievances to lay at the door of the President’s Secretaries, it is due alike to me, to the President, and to the public service that you communicate them at once to me or to the President. Whitney had an even less favorable view of the situation. He thought Mr. Lincoln was “disgusted at Davis’ hoggishness after office for himself.”23 Whitney had several conversations with Davis. He recalled that in March 1861, before Davis left Washington, “he told me he had no doubt Lincoln would give him an office if he would ask him for it but he never would do that – no sir: he wasn’t that kind of a man. But he set others on the hunt.” U.S. 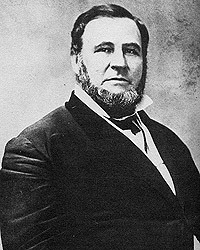 Marshal Ward Hill Lamon and Commissioner of Indian Affairs William Dole were the major Washington representatives for Davis’ lobbying.24 In fairness to Davis, it must be admitted not only did he feel the call of friendship strongly, but friends presumed that he had the influence they needed. Willard L. King, Lincoln’s Manager, David Davis, p. 87. Trevor Hill, Lincoln the Lawyer, p. 180-181. Trevor Hill, Lincoln the Lawyer, p. 183. Willard L. King, Lincoln’s Manager, David Davis, p. 91. Willard L. King, Lincoln’s Manager, David Davis, p. 96-97. Willard L. King, Lincoln’s Manager, David Davis, p. 97-98. 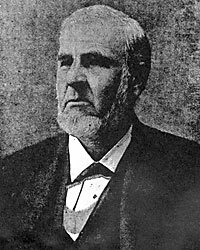 John J. Duff, A. Lincoln: Prairie Lawyer, p. 186-187. Albert A. Woldman, Lawyer Lincoln, p. 276-277. Roy P. Basler, editor, The Collected Works of Abraham Lincoln, First Supplement, p. 32 (Letter to Chicago Tribune, June 8, 1858). David Herbert Donald, Lincoln, p. 248. Carl Sandburg, Abraham Lincoln: The War Years, Volume II, p. 65 (Letter of Hawkins Taylor to Mr. Lincoln). Douglas L. Wilson and Rodney O. Davis, editor, Herndon’s Informants, p. 710 (Letter of Leonard Swett to William H. Herndon, August 29, 1887). Willard L. King, Lincoln’s Manager, David Davis, p. 307-308. Henry C. Whitney, Lincoln: A Study from Life, p. 445-455. Michael Burlingame, editor, With Lincoln in the White House: Letters, Memoranda, and Other Writings of John G. Nicolay, 1860-1865, p. 65 (Letter to David Davis, January 5, 1862). Douglas L. Wilson and Rodney O. Davis, editor, Herndon’s Informants, p. 626. Abraham Lincoln Papers at the Library of Congress. Transcribed and Annotated by the Lincoln Studies Center, Knox College. Galesburg, Illinois. (Letter from Jesse W. Fell to Abraham Lincoln1, January 2, 1861). Douglas L. Wilson and Rodney O. Davis, editor, Herndon’s Informants, p. 647 (Henry C. Whitney statement for William H. Herndon, ca 1887). Ward Hill Lamon, Recollections of Abraham Lincoln, p. 318-319 (Letter from Leonard Swett to Ward Hill Lamon, April 7, 1861). Willard L. King, Lincoln’s Manager, David Davis, p. 179. Douglas L. Wilson and Rodney O. Davis, editor, Herndon’s Informants, p. 627 (Letter of Henry C. Whitney to William H. Herndon, August 23, 1887). Douglas L. Wilson and Rodney O. Davis, editor, Herndon’s Informants, p. 647 (Henry C. Whitney letter to William H. Herndon, August 27,1887). Willard L. King, Lincoln’s Manager, David Davis, p. 194. Willard L. King, Lincoln’s Manager, David Davis, p. 195. Roy P. Basler, editor, The Collected Works of Abraham Lincoln, First Supplement, p. 149 (Aug. 27, 1862). Willard L. King, Lincoln’s Manager, David Davis, p. 191. Theodore Calvin Pease and James G. Randall, editor, The Diary of Orville Hickman Browning, Volume II, p. 616 (July 13, 1873). David M. Silver, Lincoln’s Supreme Court, p. 81. Rufus Rockwell Wilson, editor, Intimate Memories of Lincoln, p. 194 (Thomas J. Pickett, Lincoln Nebraska Daily State Journal, April 12, 1881). Douglas L. Wilson and Rodney O. Davis, editor, Herndon’s Informants, p. 348-349 (David Davis interview with William H. Herndon, September 20, 1866). Douglas L. Wilson and Rodney O. Davis, editor, Herndon’s Informants, p. 218 (Letter from David Davis to William H. Herndon, February 22, 1866). Rufus Rockwell Wilson, editor, Intimate Memories of Lincoln, p. 70 (David Davis). Michael Burlingame, editor, At Lincoln’s Side: John Hay’s Civil War Correspondence and Selected Writings, p. 187. Michael Burlingame, Abraham Lincoln: A Life, Volume I, p. 323. Henry Clay Whitney, Life on The Circuit with Lincoln, p. 789. Henry Clay Whitney, Life on the Circuit with Lincoln, p. 65. Henry Clay Whitney, Life on the Circuit with Lincoln, p. 55. Harry Edward Pratt, David Davis: 1815-1886, p. 10. Robert H. Browne, Abraham Lincoln and Men of His Time, p. 511.